The MSSQL Job Monitoring is designed to monitor sql jobs. The main reason for doing this, this plugin pulls information on Job Details such as Job Name, step name, Current Status, Last Run Status, server, message. This information about Jobs Details allows DBAs to identify if automated tasks are executed properly as planned. This saves DBAs a lot of time and effort instead of monitoring them manually. 1.Download mssqljob.zip extract that file.Folder contains SqlJobMon.class, url.properties, check_sqljob.sh sqljdbc.jar, MSSQL_JOB.doc, a folder which consists of java source code. 2. Copy files SqlJobMon.class,url.properties,check_sqljob.sh and sqljdbc.jar into libexec directory(eg /usr/local/nagios/libexec). 3. Edit the check_sqljob.sh file and set CLASSPATH corresponding to where you put class file SqlJobMon.class and sqljdbc.jar on your machine. 4. 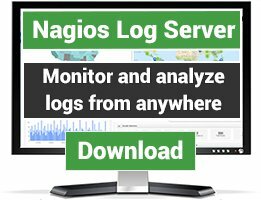 Edit url.properties file and set HTML_DIR and HTML_LINK corresponding to nagios share folder on your machine. 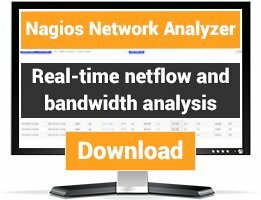 (eg: HTML_DIR=/usr/local/nagios/share/ HTML_LINK=/nagios/sqllog). This file consists of where to create html file and HTML link for plugin output. The plugin functions as intended but there are some unnecessary features that I would like to disable. Overall the configurability is lacking. I am running core 3.5.1 on SLES 11 SP3 and the HTML ref is not working properly. It gets the info manually but not from service. 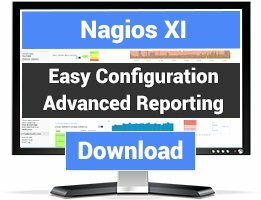 I can get this plugin to run from a command line all day long under the nagios and root user but when I set it up in nagiosxi and returns unknown every time. What am I missing? Getting this error when running the plugin. This is because it's a Windows formatted file. Not sure how a Windows formatted bash script came to exist anywhere but there is one in this release. The difference is that Linux and Unix (which includes Mac OSX) use \n for newlines in their text files while Windows uses \r\n for new lines in their text files. To convert the file to unix format you can use the command fromdos or on some systems, the older command dos2unix. Doesn't require Java. Doesn't have Windows line endings, provides more options and gives more detailed reports. First of all, really thanks for sharing this script with us. I'm trying to rewrite the java source so I can specify a Job name instead of all job names of a MSSQL server. I'm stuck on some parts of the java source code, mind helping me out? You can contact me on sjorrs[at]gmail.com ofcourse I will share the source after it is working! It's a few lines shell script around binary java files hiding the core functionality. Any chance to see the source code? I won't let this connect to my databases and do whatever without having the slightest idea what's inside. yes its open source, i shared the source code mssqljob.zip file. Because i am changing some of the logic. So that i did not shared the code. I tested thoroughly last week its working fine for me. I included a design and installation document with that zip file. This one just works fine..... Hats off! !